3DS Touch Screen Uses Outdated Tech, Is the Reasoning Justified? I’m not totally sure I buy this explanation, to be honest. Sure, capacitive screens require special styluses, so I can see why they’re want to stay away from those, but why no multi-touch capabilities? 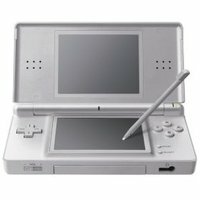 The only problem I could see an updated touch screen posing for DS emulation is if the screen size was changed, and even then, that’s just a matter of shrinking the active region down to the original screen size for DS games, just like the 3DS does for the viewing space on the top screen already. At the same time, why fix what isn’t broken? The DS touch screen still works great and responds well both to the stylus and to finger touch, so all that an updated screen would do is increase production costs (and therefore consumer pricing), not benefit players in any meaningful way. But what do you guys think? Should the 3DS have used newer touch screen technology like a capacitive screen surface to better support features like multi-touch? Or is it fine as-is? Let us know in the comments section!